A new magic event looms on the horizon! Magic: The Science of Wonder is a new museum exhibit which is going to be shown in Texas at the Houston Museum of Natural Science. Featuring many notable performers, including John Carney and Richard Hatch, as well as a plethora of artifacts, video, props, and other potentially intriguing displays, this exhibit holds some promise. 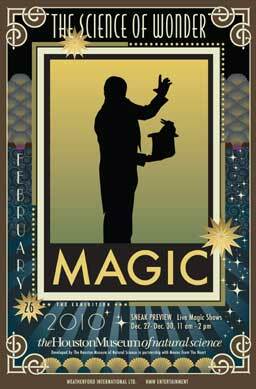 It aims to showcase the interrelationship of science and magic by not only demonstrating some perplexing effects but also introducing some of the subtle and crafty methodology magicians use to enhance their illusions.